What is Ford Intelligent All-Wheel Drive System? 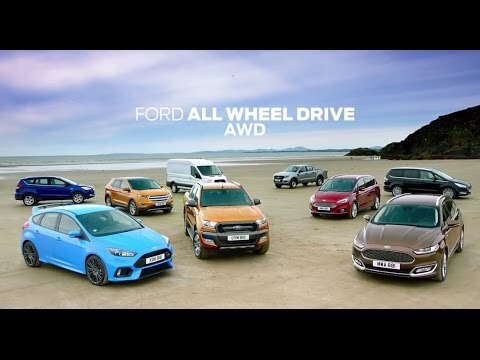 Delivering enhanced grip, traction and handling, the all new Intelligent All-Wheel Drive technology developed by Ford is available on a selection of models to provide additional safety and driving enjoyment. The all new Ford Galaxy is the first new car within the Ford range to receive this fantastic new technology, ensuring it handles and grips like never before with future models such as the all new Ford Mondeo, S-MAX and Edge all set to receive the upgrade. The new Intelligent All-Wheel Drive technology works by measuring the wheels on the car and how they are gripping the road, with instant calculations that identify the exact amount of torque from the engine to deliver. With this technology in place, your car will seamlessly utilise both front wheel and rear wheel drive, changing between the two based on the current road conditions to provide the optimum grip and handling. How does Ford Intelligent All-Wheel Drive System Work? The instant calculations of the Intelligent All-Wheel Drive system are done in the blink of an eye, allowing engine power to be transitioned to and from the appropriate drive train in just 100 milliseconds. With hundreds of calculations being completed every second, with the new technology in place not only will grip and handling be improved but you also have very minimal effects on your fuel efficiency and CO2 emissions which typically are associated with 4-wheel drive vehicles. By delivering torque exactly when needed and to exactly where it's needed, your enhanced vehicle will grip the road more effectively helping to improve traction particularly in poor conditions. What Vehicles are Available with All-Wheel Drive?